Album Review: "When I Get Home"
“When I Get Home” is a celebration of being black and a woman made of many layers that can’t be captured in a single expression. After a series of mysterious social media posts and promotion on BlackPlanet, an African-American social network, Solange released “When I Get Home” on Mar. 1. The midnight release was timed perfectly as we transitioned from Black History Month into National Women’s History Month. Last October, Solange told The New York Times, “I realize how much wider, figuratively and literally, my work could be if I took myself away as subject. ”When I Get Home” is more abstract than its predecessor, “A Seat at the Table,” and it is meant to be that way. Solange spoke to listeners with “A Seat at the Table.” However, the latest visual, performance album communicates through feelings. “Words would have been reductive to what I needed to feel and express,” Solange said in a Q&A session held on Sunday after the album release. “It’s in the sonics for me.” There is an emphasis on the production with a sizeable list of collaborators including Gucci Mane, Earl Sweatshirt, Tyler, The Creator, Steve Lacy, Pharrell Williams, Playboi Carti and others. 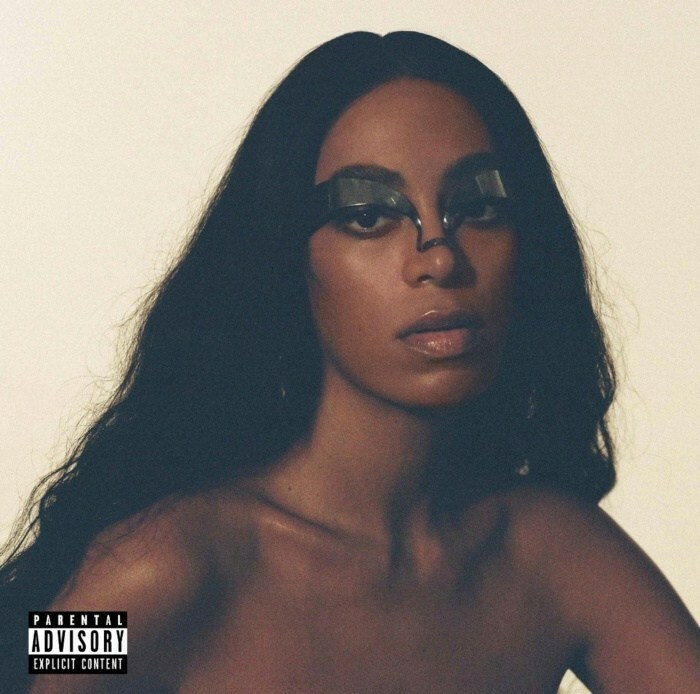 This comes to mind with “Things I Imagined.” The opening song sets the album’s dreamy tone while Solange repeats “I saw things I imagined” for two minutes, similar to a broken record or mantra. Despite removing herself as subject, the album is one of Solange’s more personal works. She reminisces her childhood with tracks named after landmarks in Houston, Texas. An example is “S McGregor,” the first interlude and street of actresses Debbie Allen & Phylicia Rashad who recite a poem in the track. The interlude is accompanied by shots of downtown Houston in the short film released exclusively through Apple Music. Solange reveals that many manifestations make up her identities in the second interlude, “Can I Hold the Mic.” The transitions between songs are mostly seamless, but at times a track abruptly leads into the next, such as into “Stay Flo.” Listeners don’t know where one ends and the next begins. It promotes the art piece as a whole rather than individual songs. Pharrell-produced “Almeda,” is central to the album’s concept where Solange mentions that “black faith still can’t be washed away. Not even in that Florida Water.” The longest track emphasizes the beauty and importance of black culture and items that share dark characteristics. The mixing pays homage to the chopped and screwed remix technique originating from Houston. In addition to adlibs, the outro features Playboi Carti highlighting his success and demonstrating that it is achievable despite his skin color. The song is accompanied by scenes of cowboys riding horses and a heavily choreographed number in the film. The color black is significant in the video as much as the song. The power and appeal of being female is seen in the film during “Binz.” It is, arguably, the album’s most danceable song. However, it falls short of the two-minute mark, appears unfinished and leaves listeners craving for more. A compilation of Solange’s twerk and dance videos flash across the screen. In her Q&A session, Solange revealed that she has a ‘finsta’ where she posts herself dancing, much like an ordinary person. The videos look like they were recorded using the camera on a Macbook and shows Solange’s appreciation of her body while she raps about heavy spending. The standout track “Sound of Rain” is another Pharell-produced song featuring production from Steve Lacy and vocals from ABRA. The visual component of the song is entirely animated with a cameo from the Florida rapper, Trina. As the final segment, it stands apart from the rest of the film like a symbol for escapism. The neo-soul vocals paired with Pharrell’s production are reminiscent of an Aaliyah song. “Sound of rain helps me let go of the pain,” croons ABRA before transitioning into “Screwed!” a 22-second ode to the late DJ Screw. “I’m a Witness” is a hymn-like conclusion to the album. Solange announces her “takin’ on the light.” Her last mantra is repeated in a manner similar to that of a church choir. Throughout the film, Solange dances around a figure covered in crystals. As the film progresses, the entire figure is covered. The final shot is of a man. His face is the only part of his body not covered in crystals, taking on the light. From the promotion on BlackPlanet to the cowboy aesthetics spread throughout the short film, “When I Get Home” is Solange’s most experimental work. Taking aspects of Metatronia, her last performance art piece, Solange has incorporated music, sculpture and choreography to convey emotion. She reflects her vulnerability while praising her community, hometown and herself. Although the album may confuse those who listen at a surface-level, it demands and is most enjoyable when looked at as a whole and separate entity from “A Seat at the Table." "When I Get Home" is available on all streaming platforms.